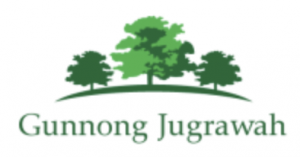 Jugiong will be hosting our second biennial JUGIONG WRITERS FESTIVAL in 2017 to promote and encourage writing and reading in the country and in addition to showcase our village and surrounds, and is held every two years similar to the successful Jugiong Art Exhibition. The people who will attend this exciting and innovative weekend will be not only from our local area and neighbouring towns, but also from our regional centres, Canberra, Wagga and Young. Also people from Sydney have expressed an interest in attending to hear our guest speaker Stan Grant. 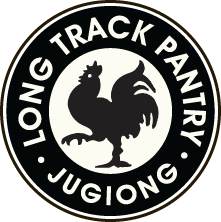 Jugiong is ideally situated on the Hume Highway between Sydney and Melbourne, and because of its location Jugiong is known as a meeting/reunion place for people coming from Wagga and other Riverina places, linking up with friends and family from Canberra and places to the north, including Yass, Boorowa and Goulburn. The 2015 Festival was a resounding success, with hundreds of visitors attending a fun filled weekend. The theme for the 2017 Festival is ‘Writing Country’, bringing together readers and writers who write about the country and/or reside in a rural setting, highlighting the beautiful surrounds of the Festival site. We are delighted that wonderful writers will be in attendance, with Di Morrissey, Stan Grant and Bill Gammage sure to be popular highlights. The committee is made up of local authors and others with a passion to promote village and region, and encourage the development of writing and reading within this area, all of whom donate their time and talents voluntarily. As such we invite your organisation to partner with the JUGIONG WRITERS FESTIVAL in its efforts to showcase our attractive, active and creative village and local area. Sponsorship is an important part of the Festival, and we can offer a range of opportunities to promote you and your business, such as offering stalls at the markets, flyers, programme and poster promotion, together with free tickets to events and being associated with an ever growing and popular Festival in the region. We would be thrilled if you could sponsor this biennial event to encourage writing and reading in the country and in addition to showcase our village and surrounds. We look forward to hearing from you shortly in order to benefit from this wonderful opportunity.